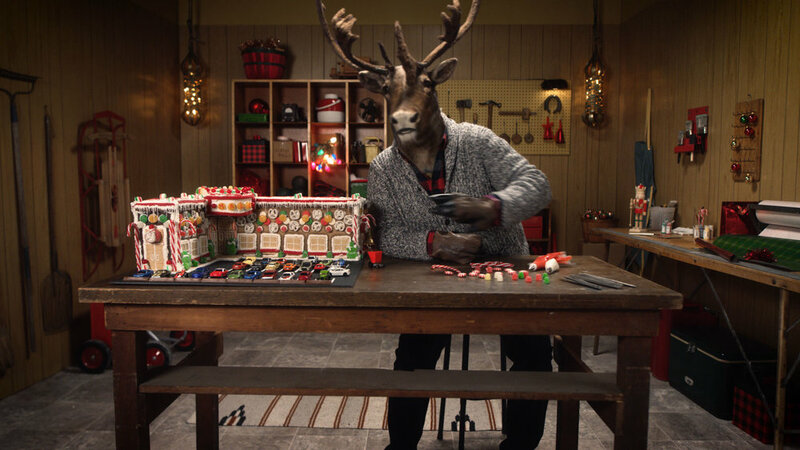 Another crazy-fun creative concept by Cole & Weber for the Holidays! Partnered with our pals at Lustre, we were able to bring this talking reindeer to life to help people get through the holiday woe’s. There was a heavy amount of 3D and visual effects (VFX) that we handled internally at Dystnct, as well as filming, editing, and color. The team had a great time and it was a lot of fun being on set—especially flying the drone around a small set. We chose to film the Reindeer head in our practical scene to get the lighting to match since we knew we were up against a tight timeline with plenty of post-production to work on.